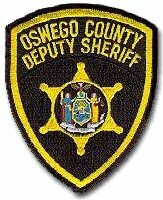 Due to extreme heavy snow falling in Redfield-Boylston in the eastern part of Oswego County, Sheriff Reuel Todd has requested no unnecessary travel for those affected areas. More heavy snow is forecast for tonight and tomorrow and into Sunday. Vehicles stuck or stranded on the highway inhibit the cleaning and plowing of the highways. Parking lots for snowmobiles in that area have not been cleaned and snowmobilers are requested to locate to other areas. Any emergencies should be immediately reported to the County 911 Center.